delivered to your Facebook feed. Click A News Headline to read full article. 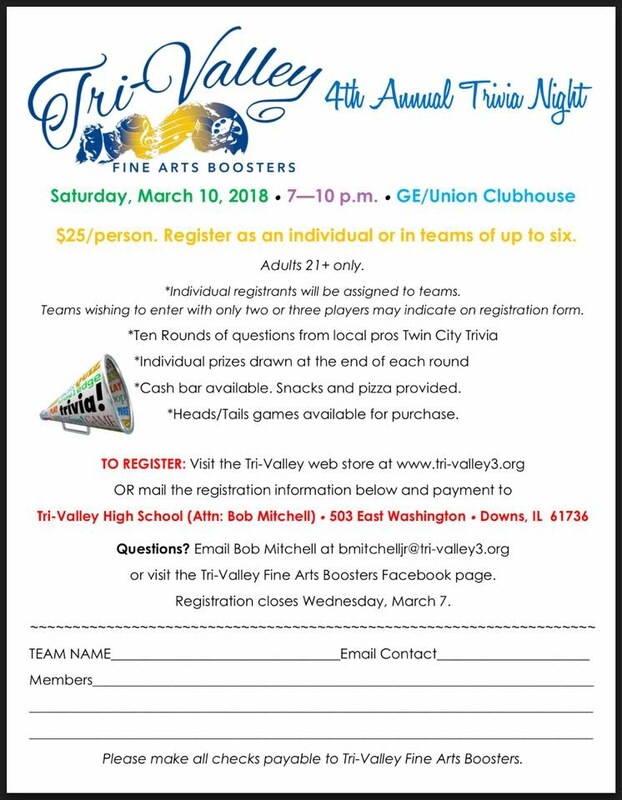 Register your team for our 4th Annual Trivia Night Register your team HERE, ORFill out the form below and send it with your payment as instructed below. THANK YOU and DATES FOR 2016-2017 The Tri-Valley Fine Arts Boosters enjoyed another FABulous year in our schools! Thank you to everyone who contributed to the ongoing success of our many programs and fundraisers.2016-2017 looks to be another exciting year! We hope you will partner with us and enjoy many of the events ahead. Please see the attached list below for dates and details on the year. TVHS Alumni Variety Show Mark your calendars - Saturday, Feb 20 @ 7:00pm - Tri-Valley High School and Alumni Variety Show! The show is proudly sponsored by the Tri-Valley Fine Arts Boosters - offering the students an opportunity to perform a talent of their choice. 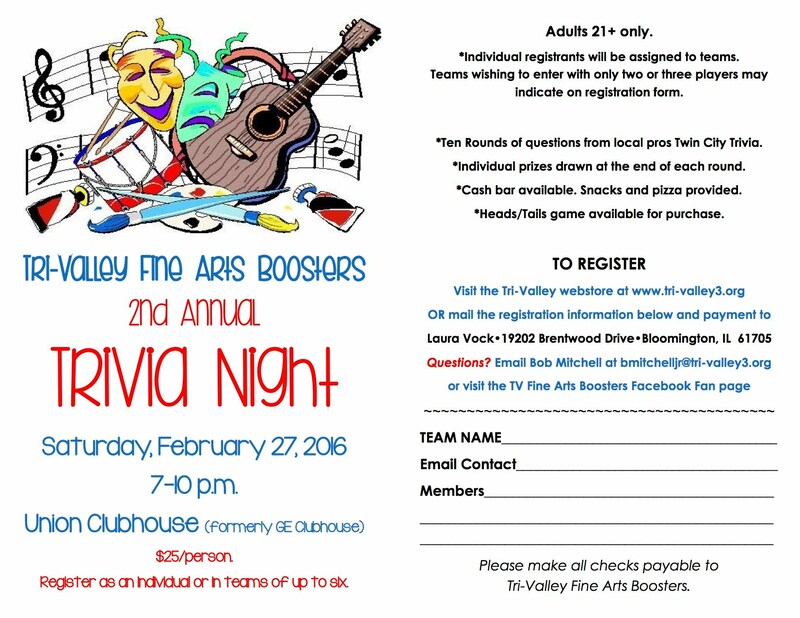 Please join us for this fun-filled night and show your support for the kids! Middle School Play. 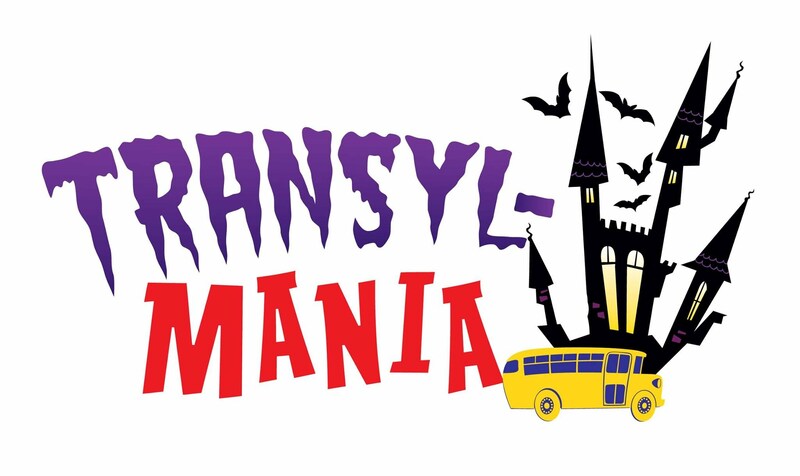 Oct. 2 & 3 Tri-Valley Middle School Presents "Transyl-Mania", a light-hearted comedy, on Friday, October 2 and Saturday, October 3 at 7 p.m. in the TVHS Commons. Doors open at 6:15 for pre-show fun and games, including face painting by the Zoo Crew! Tickets are available for purchase at the door for $5/adults and $3/age 2-high school and senior citizens (55+). Who are the Fine Arts Boosters? The Tri-Valley Fine Arts Boosters are a volunteer organization operating to help support and enrich the fine arts at all three Tri-Valley schools. Funds raised through membership fees help provide many of the supplies necessary to sustain the fine arts programs at all Tri-Valley schools. We rely on the financial and volunteer support of our students, parents, families and faculty to help enrich the lives of our students. Our dedication is to make sure our students are provided the opportunity to participate in activities that will establish a love of the fine arts, helping shape them into well rounded adults. Funds raised by FAB contribute to many of the programs Tri-Valley students participate in, such as Band, Art, Chorus and Drama. 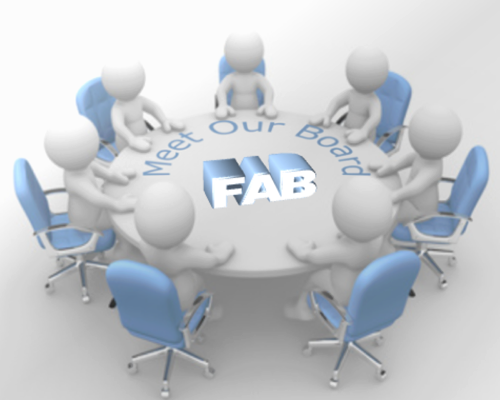 Your membership in the FAB CLUB will help ensure the sustainability of these programs. 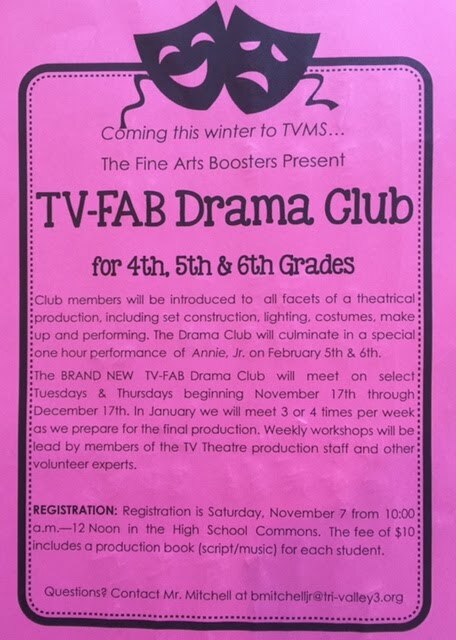 Consider being part of the Tri-Valley Fine Arts Boosters (FAB) family and help enrich and support the fine arts for all Tri-Valley schools. The best part of being a Fine Arts Booster Club Member is knowing that you are helping sustain programs that are shaping our students into the adults they will become. Some will build their careers from exposure to these programs, others will build life long hobbies and interests because of these programs. Multiple studies have concluded that curricular and extracurricular art studies and activities help keep high-risk dropout students in school. Like our FAB Facebook page to receive announcements in your news feeds!